Lasso becomes another popular short-form video platform these days. 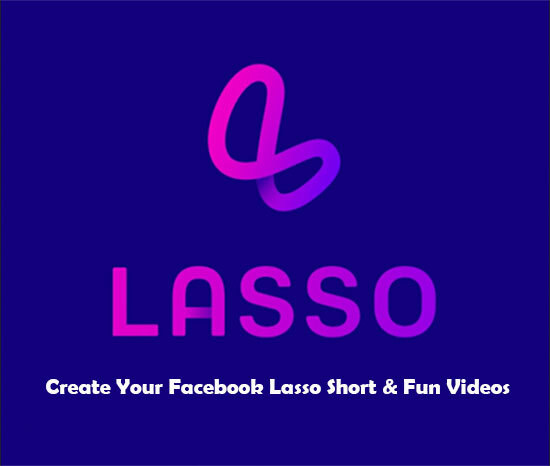 Wishing to win teens over, Facebook, the largest social platform released Lasso on Google Play this November. 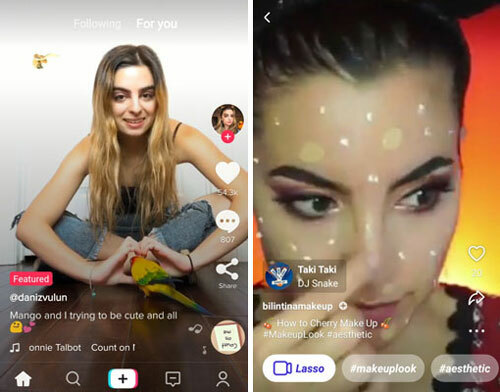 It seems Facebook aims at competing with another two short video apps, TikTok and Vine, and Lasso comes with the user interface and features very similar to that of TikTok. Getting 1000+ installs and reviews of about 80 so far, Lasso short video app appears not to be as popular as expected. 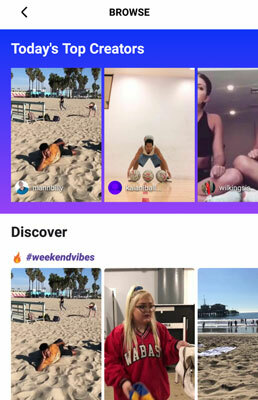 But due to its launch-out for several serval days and incompleteness, it is hard to say whether Lasso would be another TikTok or Vine or VivaVideo or not. Anyway, if you are a local app enthusiast and eager to get some tidbits in conversations, it is necessary to learn about how to use Facebook Lasso. How to Log in LassoDesigned by Facebook, Lasso allows you to log in with both Instagram and Facebook account. Just tap any of the buttons to get into the app. Then you will see an on-page notice. Tap “Close”. Now you can explore Lasso for interesting short videos. Homepage - You have a full screen of a RECOMMENDED short video. When scrolling up, you will get a new video. Hashtag - Tap the hashtag on the homepage, and it will switch to the screen with the videos of the topic. Browse - Tap the rocket icon on the upper right corner from the homepage (or just slide the homepage to the left), then you will enter the “Browse” screen, which displays videos of “Today’s Top Creators”. Also, you can find trending videos of those hot hashtags in “Discover” section below. Profile - Tap your avatar on the homepage and go to “Profile”. Here you can check your notifications. Enter “View Profile” to edit your personal information or check your Followers/Following/Likes status and the published videos. Settings - Go to “Profile” and tap the gear icon to enter “Settings”. The screen offers some terms and policies of Lasso. Besides, you can “Request Activity Log”, “Log out” Lasso or “Delete Account” in Lasso video private settings. After that, tap the “Record” button to starting your video creation. During your recording, you will see the changes in the progress bar. When finishing it, tap “Next” to check your video. And then tap “Next”. Lasso offers several video recording settings. Tap the “flash lamp” icon to enable the feature. The “Flip” icon helps to change the camera and the “Note” icon allows you to select your favorite background music. Also, you can speed the screen by hitting the numbers on the screen. 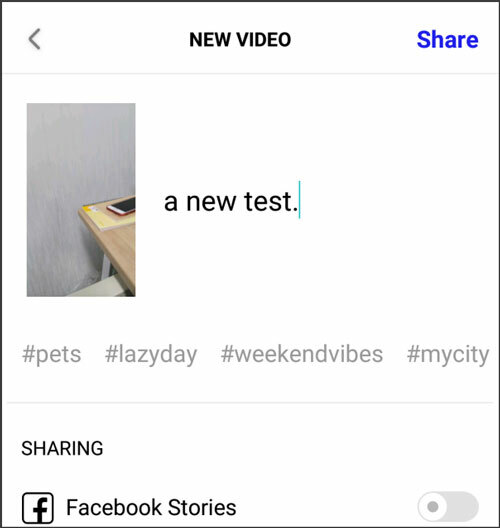 You can write some words and add some hashtags for your video. Then tap “Share” on the top right corner to upload it. [Further Reading] What Are the Differences between Lasso and TikTok? You may find that Lasso comes with similar UI and features to TikTok. But what are the differences between those two short video apps? It looks similar when it comes to the homepage of both apps. 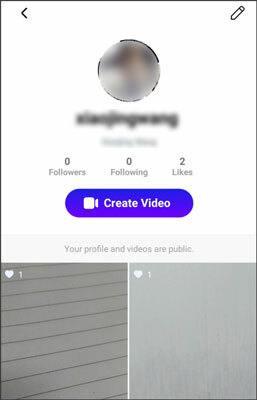 TikTok has a full screen of the playing video and features the creator name, description and hashtag on the bottom left corner. You can quickly learn about the background music from the same position. The video app comes a range of icons and tabs on the screen, which make it intuitive to select the appropriate one you need. The user interface of Lasso looks simple and clean, which draws users’ attention to the video. The app doesn’t highlight the elements of the creator’s avatar, likes, comments, sharing, etc. Also, it eliminates the entrances to other pages while just underlines the “Create Video” button. 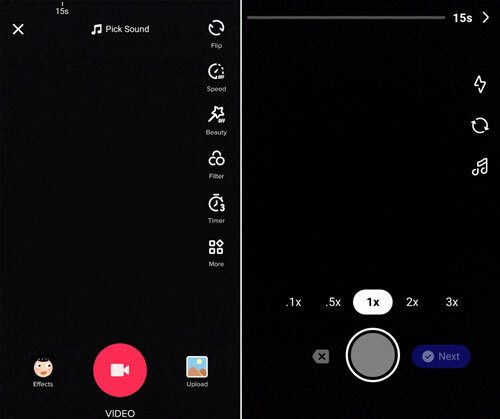 Video maker is the core feature of both Lasso and TikTok, but there are some differences between them. 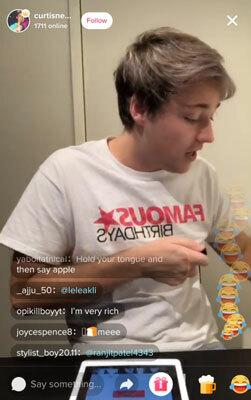 It seems that TiKTok is a mature video maker. The app features at least 8 useful gadgets on the video recording screen. They allow you to upload video from local files, add effects and sticker, enable beauty mode, add a filter, set a timer, pick sound, select cover, adjust mixer, and more. Lasso is a newborn video app that has the video editor with fewer features. You can only record a video, add soundtracks and speed the video. Maybe in its successor versions, Lasso will complete itself and become more and more powerful. As a short video app, video creating is a must-have feature. But what about other helpful features? 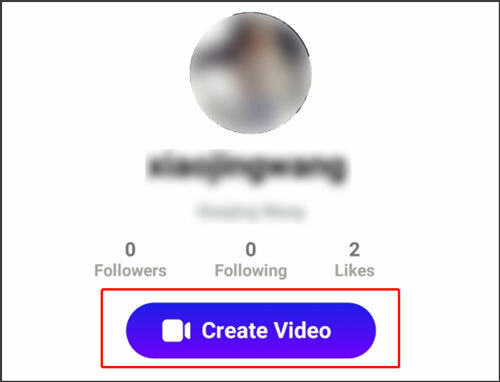 TikTok allows users to directly search videos, check notifications, enter profile page via the tabs near to your fingers. Besides, you can watch creator live streaming in “Notification”. For those pack rats, “My Favorites” offers services to check videos, hashtags and sounds collection. Meanwhile, the app also comes with an anti-addiction system in “Settings”. 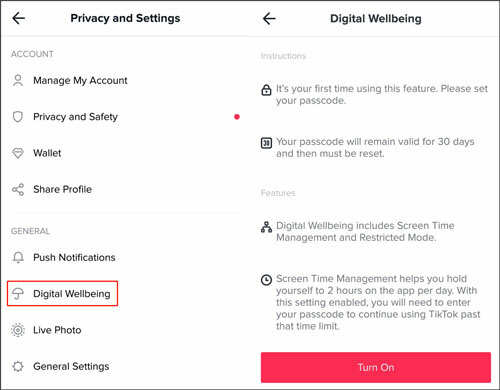 Named “Digital Wellbeing”, the feature enables “Restricted Mode” and “Screen Time Management”, helping you using the app reasonably. Other features like “Direct Message”, “Find Friends”, “Wallet”, “Live Photo”, etc. also makes TikTok powerful and excellent. Lasso features less than TikTok. 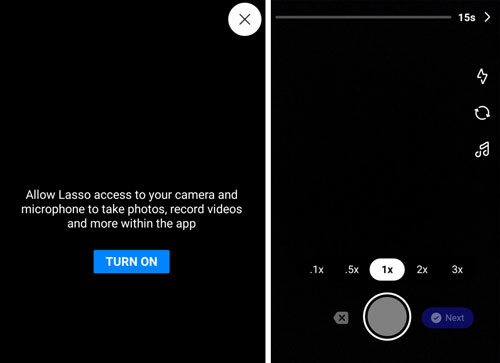 What makes it different and unique is that Lasso enables “Delete Account”, which allows users to remove their information permanently from the video app. 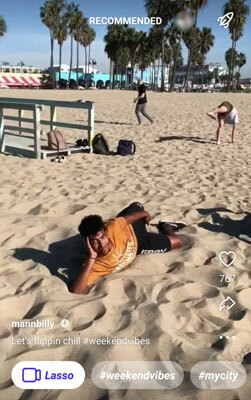 In short, Lasso is a new local short video app for American teens. It may gain a competitive advantage in the future if the app perfects its features and user experience. Personally speaking, Lasso is a simple and intuitive video app which makes me focus on videos without any distraction from those big icons. But to pay attention to video details, it is better to download the video onto a phone. If you are looking for a versatile Lasso video downloader, it is recommended to use InsTube. InsTube is a powerful video downloader that not only enables video downloading from Lasso but helps to download the files from TikTok, YouTube, Vevo, Facebook and more. For more information about InsTube Lasso downloader, see Top 6 Ways to Download Videos from YouTube, Vevo, Vimeo, etc. That should conclude it. Let’s look forward to a more excellent Lasso.